For the past 14 years, Georgia Trend has asked the state’s attorneys to tell us who they think are the best in their field. This year’s group of Legal Elite represent nearly 300 law firms in more than 30 cities across Georgia in 14 practice areas: Bankruptcy/Creditors’ Rights, Business Law, Corporate Law, Criminal Law, Entertainment/ Sports Law, Environmental Law, Family Law, General Practice/Trial Law, Immigration Law, Labor & Employment, Personal Injury, Public Finance/Bonds, Real Estate/Construction Law and Taxes/Estates/Trusts. Once again, we’ve asked some of our top vote getters their opinions about the law and Georgia. You’ll see their profiles throughout the list. To compile this listing, attorneys submitted their nominations via our website at georgiatrend.com. Any attorney who is a member of the state bar and lives and practices in Georgia was eligible to vote and to be voted onto this list. Respondents were not allowed to vote for themselves. They could, however, vote for members of their own firms only if they voted for an equal or greater number of attorneys outside their firms. The names of those with the most votes appear in the following pages in alphabetical order. They are listed in the categories into which their peers voted them, although some may practice in more than one area. The listings are determined solely by lawyers’ votes; places on the list are not for sale. The names of attorneys who are advertisers appear in red type. Ballots were tallied and names verified by the Georgia Trend editorial staff. If you are an attorney practicing in Georgia and would like to nominate someone for the 2017 Legal Elite, the online ballot will be open Monday, May 1, 2017, through 5 p.m. on Friday, July 28, 2017. For more information, go to georgiatrend.com/nominate. 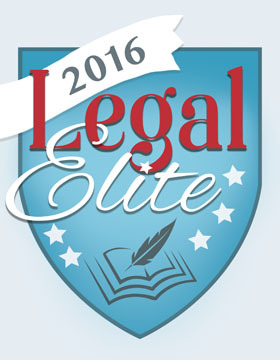 Click here to view this year’s Legal Elite section.